What’s the big deal about Christmas? Why do we celebrate the birth of someone who died over 2000 years ago? Why does everything in the whole world have to come to a stand still to remember and celebrate this day? The interesting thing about it all is this – his birth wasn’t really celebrated. His birth sure didn’t appear on the national dailies of his days. Was it to happen in today’s world, you can bet it will be on facebook, twitter and other social media. But not then. There were no fun fares. No fire works. No special team of Doctors ready to help with the delivery. It was an ordinary day. Were someone to chance upon the sheep stable on the outskirts of Bethlehem that morning, what a peculiar scene they would behold. The stable stinks like all stables do. The stench of urine, dung, and sheep reeks pungently in the air. The ground is hard, the hay scarce. Cobwebs cling to the ceiling and a mouse scurries across the dirt floor. A more lowly place of birth could not exist. Off to one side sit a group of shepherds. They sit silently on the floor, perhaps perplexed, perhaps in awe, no doubt in amazement. Their night watch had been interrupted by an explosion of light from heaven and a symphony of angels. God goes to those who have time to hear him—so on this cloudless night he went to simple shepherds. Near the young mother sits the weary father. If anyone is dozing, he is. He can’t remember the last time he sat down. And now that the excitement has subsided a bit, now that Mary and the baby are comfortable, he leans against the wall of the stable and feels his eyes grow heavy. He still hasn’t figured it all out. The mystery of the event still puzzles him. But he hasn’t the energy to wrestle with the questions. What’s important is that the baby is fine and that Mary is safe. As sleep comes, he remembers the name the angel told him to use . . . Jesus. "We will call him Jesus." Meanwhile, the city hums. The merchants are unaware that God has visited their planet. The innkeeper would never believe that he had just sent God into the cold. And the people would scoff at anyone who told them the Messiah lay in the arms of a teenager on the outskirts of their village. They were all too busy to consider the possibility. Those who missed His Majesty’s arrival that night missed it not because of evil acts or malice; no, they missed it because they simply weren’t looking. Little has changed in the last two thousand years, has it? When God created the world, everything in it was good. There was no problem at all, until sin came in. The fall of man when he sinned exposed him to all kinds of things imaginable. Sickness came, Poverty got hold of him. Death overpowered him. Fear gripped him. Man entered into the “crisis” mode as a result of SIN. Sin is a sinker my dear readers. It sank the destiny of man, and still does till date. The greatest hindrance to enjoying a good life is Sin, and Jesus came to solve that problem. By hanging on the cross, he paid the debt he didn’t owe; all because we owed a debt we couldn’t pay! Celebrating Christmas without understanding this is just like celebrating a mass. Christ is what makes an ordinary mass become Christmas. As you celebrate Christmas today, ponder on these things. Ponder on the greatest love story ever told – the story of a man who laid down his life for his friends. In my last blog, I started sharing the story (and lessons to learn) from a product that has become one of the most powerful brands in the world – Coca-cola. I shared on how this brand has travelled to more parts of the world than any other product known to man. Go to any nook and cranny in the world, and you are likely to find a bottle of Coca-Cola there! It’s amazing. This brand is sustaining several glass industries in the world. It is sustaining thousands of sugar plantations all over the world. How did a recipe from a relatively obscure part of Atlanta turn into a global brand, enjoyed by over 1 billion (yes, 1 billion) people every day? How did this brand become the most recognized product in the world, as well as a common link between cultures and countries, people and places? In the last post, i shared two of the lessons to learn from this brand (please refer to the last article posted) and in this post, I will be sharing two more. This is one of the most basic rules of success. There are many young men and women today who go into business, looking at what to get! Getting value (monetary or otherwise) is not difficult, if you know the right thing to do. And the right thing to do is “Add Value”! May I say that your current level of income is a function of the value (either real or perceived) that you bring to the table? The more value you give, the more value you get. What value are you bringing to the table? What value do you want to be paid or compensated for? What problem are you solving for people that they should pay you for? Coca-Cola is refreshing the world. They are inspiring moments of optimism and happiness. They create value and make a difference…..and we are all rewarding them with market share! May I say that your current level of income is a function of the value (either real or perceived) that you bring to the table? I recently read a story about Bill Gates, perhaps the richest man in the world that interested me. He was traveling through a particular airport and was asked by the custom officers if he had anything to declare. “Nothing, but a billion dollars worth of ideas” he declared. Interesting, isn’t it? Take a moment and look around your environment. Everything you see from your laptop computer to Post-It Notes® started as an idea. The universe itself started as an idea in God’s mind. The software in your two and a half pound brain spends twenty-four hours per day producing and processing ideas. When your brain is in sleep mode we call the idea production "dreaming." When you are awake and looking out the window, we call it "daydreaming." When you are awake and focused on a task we call it "thinking." The greatest problem faced by developing countries is not money problem. It is not power problem. It is an idea problem. Ideas are superior to money. They bring in money. Ideas are more powerful that the best currencies in the world. Infact, permit me to say that ideas are becoming a currency of the future. For example, exchange an idea with an associate at lunch. You both walk away with two ideas. If instead, you just exchanged one dollar bills at lunch, you'd both walk away with one dollar. Ideas rule the world. The greatest problem faced by developing countries is not money problem. It is not power problem. It is an idea problem. The brand Coca-Cola started as an idea in someone’s mind. In 1889, a man, by the name Asa Candler, bought a formula and a 3 legged brass kettle containing a mixture of lime, cinnamon, cocoa leaves, and the seeds on a Brazilian shrub from a druggist, Dr John Pemberton. Together with an idea he had about marketing, he turned this formula into a money spinner! Ideas indeed rule the world. I hope we can take a cue from these great lessons from the Coca-Cola brand, and also line on the Coke side of life! It’s an interesting part of life to live! About this time last week, while on vacation in Atlanta Georgia, I had the opportunity of following the story of one of the world’s biggest and most popular brands. Several things interested me about this brand. This brand has travelled to more places in the world than the gospel of our Lord Jesus Christ. It’s in more hands than the Bible. It has penetrated into cities, towns and villages that the gospel has not dared! It is perhaps the largest consumer of glass in the world today. This brand is sustaining several glass factories and sugar plantations around the globe today – perhaps the largest consumer of both. I am sure you can guess the brand I am talking about now. I am talking about Coca-Cola. Coca Cola sells 1.4 billion servings each day. You could show someone a Coke can and they'll be able to tell you what it is, even if they live in Tokyo. No other brand is as recognizable as Coke is. This brand has travelled to more places in the world than the gospel of our Lord Jesus Christ. It’s in more hands than the Bible. A visit to the World of Coca-Cola Centre will be inspiring for anyone. You will practically see how this dream, and this product evolved to be a world brand and then you ask yourself – why not me; why not now? A friend of mine always put it in a nice way – if not now, when. If not me, then who! It was in 1886, and in New York harbour,workers were constructing the Statue of Liberty. Eight hundred miles away, another great American symbol was about to be unveiled. Like many people who changed history, John Pemberton, a civil war veteran, and Atlanta pharmacist (yes, pharmacist! ), was inspired by simple curiosity. He loved thinkering with medicinal formulas, and one afternoon, searching for a quick cure for headaches, he stirred up a fragmant, caramel-coulored liquid in a three-legged pot. When it was done, he carried it a few doors down to Jacob’s pharmacy. Here, the mixture was combined with carbonated water and sampled by customers who all agreed – this new drink was something special. So, Jacob’s pharmacy put it on sale for five cents a glass. Pemberton’s bookkeeper Frank Robinson named the mixture Coca-cola, and wrote it out in his discticnt script. To this day, Coca-cola is written in the same way. If not now, when. If not me, then who! About nine servings of the soft drink were sold each day. Sales for that first year added up to a total of about $50. The funny thing was that it cost John Pemberton over $70 in expanses, so the first year of sales were a loss. This is one of the prominent things in the Coca-Cola story. Sometimes, we are bugged down by trying to figure out all the tiny details before starting anything. We want to have everything ready to go before we take any step. Most times, we focus on what we don’t have rather than what we have. Pemberton started the Coca-Cola company with what he had – a formula. At that time, he didn’t have any business or marketing experience. He could have held back because of the many things he didn’t have but he didn’t. There’s a story that explains this in a deeper way in God’s word. In II Kings 4: 1-7,there is an account of a woman that shows the power of starting with what you have. The woman, a widow, had a peculiar problem. He late husband left her and her sons huge debts to pay! And as far as she was concerned, she didn’t have the wherewithal to pay these debts. She did what was very logical to do – she ran to the man of God for help (since he husband was also a prophet when he was alive). I am sure she was expecting a display of a miracle. However, the man of God asked a very instructional question. “Elisha said, "I wonder how I can be of help. Tell me, what do you have in your house?" "Nothing," she said. "Well, I do have a little oil." As far as she was concerned, she had nothing, except a little oil. Guess what? That little oil was enough to get what she wanted. This woman was focusing on what she didn’t have. The man of God drew her attention to what she had! What do you have? May I challenge you to start with that, and then see how you attract and get what you need. In case you are not aware, Coca-Cola did not make any profit in the 1st year! First year sales closed at a loss. Infact, Pemberton, who invented the mixture, died 2.5 years after his discovery. However, the seed of greatness for this brand has been sown and just needed time to germinate. One of the best lessons I ever learned was that it was OK to fail. It is OK to make mistakes. Failure has a wonderful way of teaching you lessons, sometimes very painful lessons, that you can use the next time you tackle a problem. You may not learn the lesson the first time, or the second, or fifth time, but eventually each failure will teach you something you can use later. How did I learn this? By recognizing one crucial thing – no one starts off being the best at something. All the greats of anything did it through hard work, something you can read about in Malcolm Gladwell’s Outliers and his 10,000 hours idea (that to truly master something you need to spend 10,000 hours on it). And you know what? The first thousand hours were probably filled with failures.“Don’t be afraid to fail. Every successful person has failed at some time. Everybody that plays it safe, they’re never going to fail, but they’re never going to be a big success,” said Peter Kim, Hudson Jeans CEO, requoted from a Los Angeles Times article. One of the things that I have enjoyed the most during my trip to the US is the excellent customer service that I get in most (almost all) of the places I have been to. I see, clearly, what is lacking in most of the developing countries like my country Nigeria. Last week, I walked into a car rental store to rent a car. I had my fears, since I was presenting a Nigerian international drivers license and a Debit card. However, I was pleasantly surprised with the kind of service that I got at the counter. This lovely woman was willing to do more than she was paid to do, and win business for her company. During the process, my brother in law’s fiancée, who had booked with another company, canceled her reservation with that other company and instead got a car from this woman. Imagine! About 2 years ago, I went into a Mall to buy a camcorder for family use. I had been told that I will get the specification I needed at an affordable price somewhere in this Mall. The Mall had several electronic shops with about the same price for all items. I got into one and started looking around. No one attended to me personally. No one took notice of me. Every of the staff went about their normal business. I asked a few question about a particular brand I love and got mono syllabic answers. Predictably, I didn’t buy anything from them. I went in to another store close by…infact right beside the 1st one. The difference was astonishing. I was warmly greeted by a staff. He asked me what I wanted to buy and gave me a small lecture on what to look out for. When I was considering buying a particular one (just because of the brand name), he explained to me, and demonstrated to me why he thinks I won’t like it. He suggested another brand that had about the same features, was cheaper and had better handling. He then proceeded to convince me that I was buying the best camcorder of the year in that category. He brought out a magazine that showed the award for this brand and then went ahead to do a demo recording for me with this camcorder! Did I buy it? Of course yes! In no time, I was counting the money at the cashier’s! What made the difference between both stores? Definitely not the price. Not the size of the store. Not the name. It is called Customer Service. This is what is lacking in most organizations and companies that keep them small…especially in developing countries. World class organizations have since discovered the value of service to their customers. Improving customer service is one of the top five anguishes for CEO's today. The creation of memorable, positive customer service - service so good, so unique, so different, that it takes the customer by surprise and leaves him with a smile on his face and a story to tell- is in high demand in organizations today. Let’s consider a few customer service tips that will give you and your company a competitive advantage. Customers don't buy products or services. They buy good feelings and solutions to problems. Most customer needs are emotional rather than logical. The more you know your customers, the better you become at anticipating their needs. Communicate regularly so that you are aware of problems or upcoming needs. Make customers feel important and appreciated. Treat them as individuals. Always use their name and find ways to compliment them, but be sincere. People value sincerity. It creates good feeling and trust. Think about ways to generate good feelings about doing business with you. Customers are very sensitive and know whether or not you really care about them. Thank them every time you get a chance. This is perhaps one of the customer service tip that is missing in the 3rd world countries. They look down on customers. They let their moods affect how they treat their customers. Any wonder why they are still 3rd world? Since the future of all companies lies in keeping customers happy, think of ways to elevate yourself above the competition. Consider the following: What can you give customers that they cannot get elsewhere? What can you do to follow-up and thank people even when they don't buy? What can you give a customer that is totally unexpected? Be willing to go the extra mile. Be willing to do more than what is required. This will without doubt give you an edge over competition. When something goes wrong, apologize. It's easy and customers like it. The customer may not always be right, but the customer must always win. Deal with problems immediately and let customers know what you have done. Make it simple for customers to complain. Value their complaints. As much as we dislike it, it gives us an opportunity to improve. Even if customers are having a bad day, go out of your way to make them feel comfortable. Take the time to identify customer needs by asking questions and concentrating on what the customer is really saying. Listen to their words, tone of voice, body language, and most importantly, how they feel. Beware of making assumptions - thinking you intuitively know what the customer wants. Listen carefully to what they say. Check back regularly to see how things are going. I am one of the last persons in the world who would tell you not to work hard. I know that hard work is the only substitute to a hard life. Hard work makes the commonest chance golden. However, it worth reminding you that working hard must also be tempered by working smart, or you might just be wasting a load of effort. There is a reason why we were born with both muscles and brains. We should use both…..and definitely not in proportional ratios. Consider the story of two lumberjacks in a tree-cutting contest. Both were strong and determined, hoping to win the prize. But one was hardworking and ambitious, chopping down every tree in his path at the fastest pace possible, while the other appeared to be a little more laid back, methodically felling trees and pacing himself. 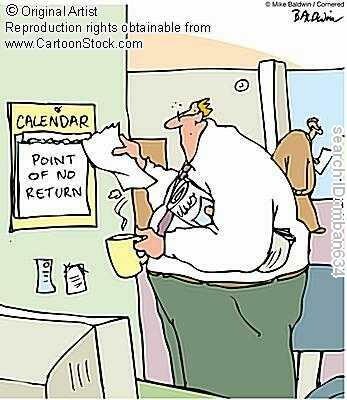 The go-getter worked all day, skipping his lunch break, expecting that his superior effort would be rewarded. His opponent, however, took an hour-long lunch, and then resumed his steady pace. In the end, the eager beaver was dismayed to lose to his "lazier" competition. Thinking he deserved to win after his hard work, he finally approached his opponent and said, "I just don't understand. I worked longer and harder than you, and went hungry to get ahead. You took a break, and yet you still won. It just doesn't seem fair. Where did I go wrong?" The winner responded, "While I was taking my lunch break, I was sharpening my ax." Hard work will always pay off; smart work will pay better. Remember back in school, there were the people who studied all day and all night, but still struggled to pass exams? (I hope you are not one of them).Then there were the people who studied hard but also found time for a game of basketball (or time to attend fellowship) and still aced every test and exam. Both groups studied the same material, attended the same lectures, were taught by the same professors, and took the same test. Was the second group just that much more brilliant? Maybe, but my money's on the way they approached their material and learned how to study. If they were smart, they applied those same principles after graduation: work hard, but also work smart. Hard work will always pay off; smart work will pay better. That's a lesson that can be learned by even young children. A little girl visiting a watermelon farm asked the farmer how much a large watermelon cost. "Three dollars," he told her. "But I only have thirty cents," the little girl said. The farmer looked around his field, and feeling sorry for the little girl, pointed at a small watermelon and said, "That one's thirty cents." "Oh good," she replied as she paid him, "Just leave it on the vine and I'll be back in a month to get it." Call it creativity, call it ingenuity, call it whatever: I call it using your head. Knowing how to analyze a situation and how to execute an action plan will put you ahead of the game in the long run. There's nothing wrong with having a leg up on your competition - it's how you win. The combination of hard work and smart work is the formula for success. Think about what needs to be done, and then think again about the best way to accomplish it - not necessarily the way you've always done it, or the fastest way, and certainly not the hardest way. Never make work harder than it has to be. That's just a colossal waste of time. Perhaps the ingenuity award goes to the fellow who came to the Canadian border on his motorcycle, carrying two saddlebags strapped across his seat. The border guards asked the obvious question, "What's in your saddlebags?" "Rocks," was the reply. So the guards emptied the bags to check out his story. Sure enough, all they found were rocks. So they sent him on his way. The next week, the same fellow came to the crossing, again on a motorcycle, again with the same payload. The guards checked once again, and found more rocks. Off he went. The scene repeated itself weekly for several months, until finally the guards couldn't stand it any longer. "We know you are smuggling something across the border, but every time we inspect your saddlebags we find only rocks. Please tell us what you are up to, and we promise not to turn you in." "Well," the fellow replied, "It's really very simple. I'm smuggling stolen motorcycles." Moral of the story: It's good to work hard. It's great to work smart. 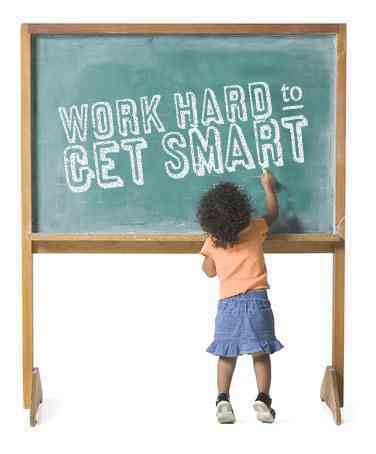 But it's best to work hard and smart. It's Alright To Dream Again. Permit me to say that it was not only Judas who betrayed his Lord. Majority of the disciples did. I suppose that most people want to make the world a better place. I have often heard people aspiring for leadership roles in order to make the world a better place. “If I can become the President of the Unites States, then I can change the world” they think. Chances are that several of you reading this will never become the president of your countries or even the governors of your State. Despite that, you still have a very good chance of positively changing your world….yes, your world. If you can change your world (the world around you), then, you can change the world. If you make the world around you a better place, then, the world would have become a better place. This was simply what David was trying to say above. He simply said – Look, I don’t want to meddle with areas where I have no business. My heart is not haughty and my eyes are not lofty. I don’t intend to be the President of the United States. I don’t intend to change the world by becoming a rocket scientist! I will only concern myself with things I can handle. 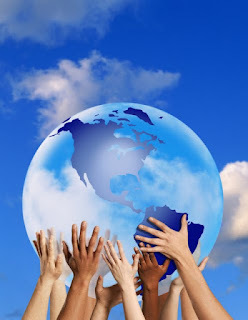 I will solve the problems around me, and in my own way contribute to solving the world problem. What a wise counsel! The best way to change the world is to concentrate on your own world. In order to make this simple to understand, permit me to share with you some ways that I sincerely believe you can make your world a better place. Every creature of God is unique in some way. God made us in a special way to fulfill a special assignment. No two individuals in the world are exactly alike, we are told. Everyone is unique and carries unique abilities to do certain things. When you are original, you will add something to the world that only you, and no other person, can add. Stop trying to be like someone else. The only thing you can be by copying someone else is 2nd best! Be yourself. Be real. Be original. You can make the world a better place by manifesting your peculiarity. Your uniqueness is a solution that our world has been waiting for. Don’t deny us. In other words, GROW. Learn more every day. Don’t remain where you are and where you have been. Do you know how automobiles were operated in the early 90’s? There was a time when motor vehicles were started from outside of the vehicle! There was a time that the doors open backwards. However, all that is history now. There has been a tremendous improvement in the way automobiles are made today, and our world is a better place for it. You can make the world a better place by GROWING. Are you a motivational speaker? Then learn more about motivational speaking. Learn more about how to make sense with fewer sentences. And then you can be sure the world will be a better place. Are you a medical Doctor? Learn more about your area and help discover vaccines for currently incurable diseases. You won’t need to pray further about making the world a better place. Don’t stop learning. Don’t stop growing. Keep moving forward and never stop. Don’t stop improving – and then your world will be a better place. You cannot hope to build a better world without improving the individuals. To that end each of us must work for his or her own improvement, and at the same time share a general responsibility for all humanity, our particular duty being to aid those to whom we think we can be most useful. This is one of the best ways to make your world, and the larger world a better place. Be Selfless. Think about others. Don’t build an empire around you and around your immediate family. Seek the good of others. Help someone in need. Sponsor someone to school who cannot afford it. One of the bane of Africa today is selfish leadership! People go into leadership thinking about themselves and their future. They are not thinking about the people. They are not solving problems for the people. The same is true in our offices, homes and on the roads. Why will someone break traffic rules? Why will he want to drive ahead of others who are on a queue? Listen. It is very natural to be selfish. It is natural to put yourself 1st ahead of others. But, it is not Godly! When you learn to consider others ahead of yourself, you are making our world a better place. Our nation and our continent will be a better place to live when we have selfless leaders and followers alike. Don't Make Excuses; Make Things Happen! A certain man was preparing a great banquet and invited many guests. At the time of the banquet, he sent his servant to tell those who had been invited, ‘Come, for all things are now ready.’ But they are alike began to make excuses. The first said, ‘I have just bought a field, and I must go and see it. Please excuse me’. Another said ‘I have just bought five yokes of oxen, and I’m on my way to try them out, Please excuse me’. Still another said, I just got married, so I can’t come.’….. Believe it or not, I read this account from a book…the greatest book ever written. Before making my points, I need you to understand the story very well. This did not happen in the story above. Here, the man that invited his fiends for dinner was kind enough to even send a reminder just before the party started. However, all his invitees began to make excuses. 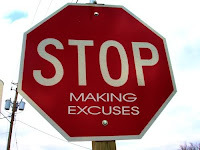 I did a careful analysis of their excuses and found out that they were really excuses. Nothing else. Take for example the 1st guy. His excuse? ‘I have just bought a field and I must go and see it’. This guy must be a professional excuse maker. He didn’t just get the invitation the day before. Why on earth will he fix inspecting his field on the same day with the party? Afterall, the field is his. He can choose to go and inspect it the day before, or the day after the party! Besides, when do you go to inspect a field? Probably early in the morning or late in the afternoon. Right? The guy was invited for a dinner! He could still have made it if he really wanted to come! He was just making up an excuse to be absent. And that’s how excuses are. They are “made”. 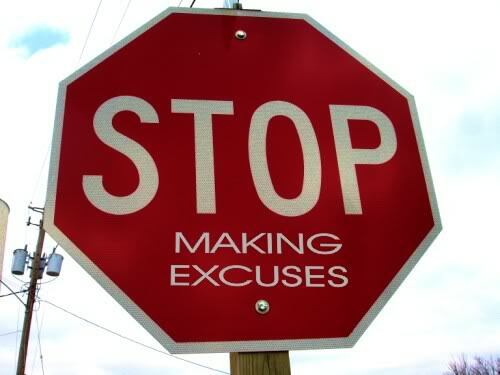 What excuses do you have that is preventing you from moving on to success? I can bet you that no excuse is good enough for failure. Will you please join me in examining the most common excuses people make and their underlying truths? This is perhaps the commonest excuse I have heard in my life. How many times have you heard yourself or someone else make this excuse? There is nothing that can be farther from the truth. One interesting thing about time is that it’s the most evenly distributed of God’s gifts. Everyone on the planet has 24 hours. A rich man in his palace has 24 hours and so does a poor man on the street. Whatever happens to you in life depends on how you spend or invest the time you’ve got. In all honesty, if you do not have time for anything, it simply means that thing is not important enough to get a chunk of time from you. You’re really saying, “That just isn’t important enough to me.” I don’t have time to exercise. I don’t have time for a relationship. I don’t have time to start my own business. Of course you have time. You have as much time as anyone else does, and other people are already doing these same things. The difference is that they make it more of a priority in their lives than you do. You aren’t a victim of circumstances. If you don’t like your circumstances, change them. The real problem therefore is not lack of time but lack of will. Look at what you really devote time to everyday. People devote time to marginal activities like watching TV everyday and yet do not have time to do things they want us to believe they are committed to. No way. If you are really committed to a thing, and if it is very important to you, you will surely have time for it. You have 24 hours everyday. Go and make the best use of it. There are many people going about today fantasizing about what they’ll do if only they have the money. “If only I have money” is the common excuse of such people. In my opinion, our greatest problem in the world is not money problem. It is an idea problem. Money always flows in the direction of ideas. If there’s something you want, “I don’t have the money” is no excuse for not getting it. You can always earn the money or find a way to get the item at reduced cost. The truth behind “I don’t have the money” is “I don’t want it badly enough.” If you want something real bad, you will think through how to get it. In that moment, ideas of how to get it will surely come to you. Think of it for a moment. Have you ever had to get something by all means that you didn’t have the money at first to get? Did you eventually get it? I know most people will answer a “yes”. Not having money is surely not a tenable excuse. This is a common excuse with those who thinks getting to the top a matter of who you know. They feel that they are where they are because they don’t know the right people to help. “I don’t have the necessary connection” is a nice way of saying “I am not willing and ready to cultivate the relationships I need to reach my goals”. That’s the real truth behind that excuse. I am sure you know that you are 5-7 people away from anyone on this planet. Yes, you are. You can create and cultivate any relationship you so desire. I am not saying that this easy and will be a walk over, but it is possible. You can get connected to top people in your field of endevour for instance. You can, if you are willing to cultivate the relationship. This is one of the feeblest excuses of all. I don’t know how to make a web site. I don’t know how to write well. I don’t know how to get a better job. Are you capable of learning? Did you stop after learning to crawl, complaining, “I don’t know how to walk?” The truth behind “I don’t know how” is “I’m unwilling to learn.” In other words, you have to admit that you’re lazy. And you need to do something about that. Are you willing to invest time in learning anything you need to learn? Anything that is worth knowing is worth learning. I challenge you to keep learning and shatter the myth of this excuse.